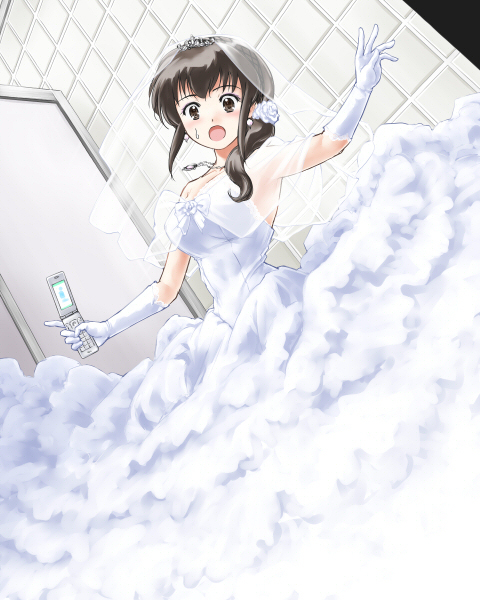 No sooner did Satori say "wedding dresses" than the transformation happened completely. The jet-black skirt instantly turned snow-white, spreading out and covering the entire floor. This was what Ayumi could see, and the next moment Ayumi again became a bride in a pure white outfit, corseted, and with gloves, makeup, jewelry and a wedding veil that blurred her vision.